If there’s only one pair of jeans I would wear during the summer, it would most definitely be the boyfriend jeans. (or Captain America’s jeans) Its loose and baggy silhouette allows my legs to not feel claustrophobic and constricted. 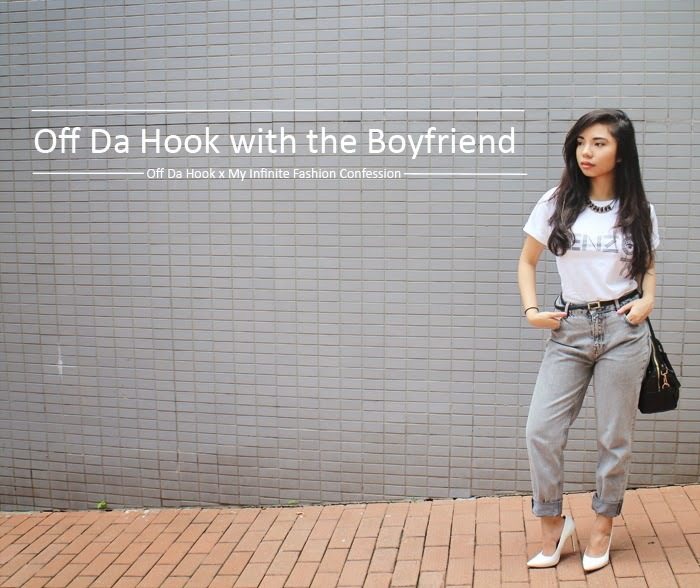 Just add on a loose parody tee from Off Da Hook and it’s instantly the epitome of comfort. Not only are their T-shirts thick and incredibly comfortable, they’ve got playful, almost rebellious words printed on it as if to say “Hey, we’re not a million-dollar brand but we’ve got chic, comfy designs to make up for it.” A swipe of rosy cappuccino lips, a statement necklace and killer white heels to finish off the outfit and voila! It looks like I’ve actually put in a lot of effort dressing up. 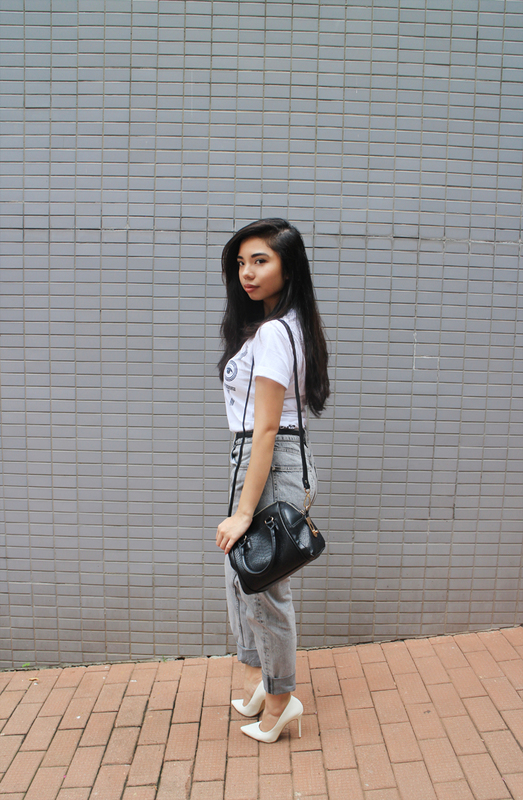 You always look so chic, Charmaine! I missed your posts! 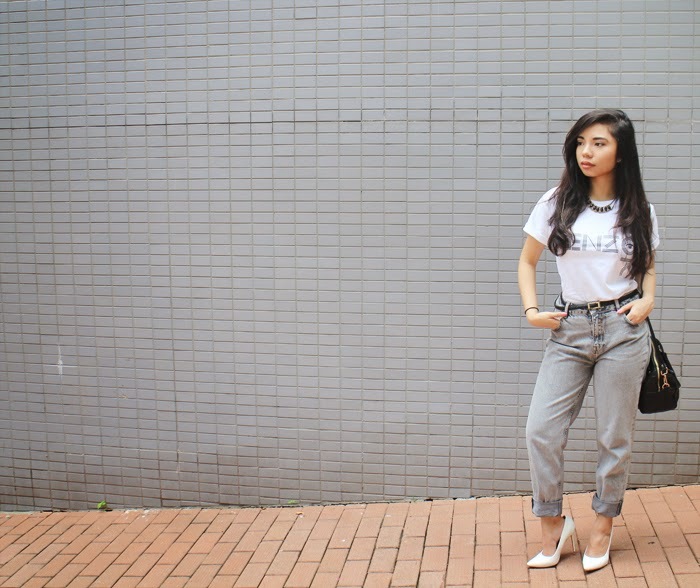 You pull off the boyfriend jeans so well. I love how you dressed them up with the pair of white heels. I am loving this look! What a wonderful outfit, you look amazing! Great blog! 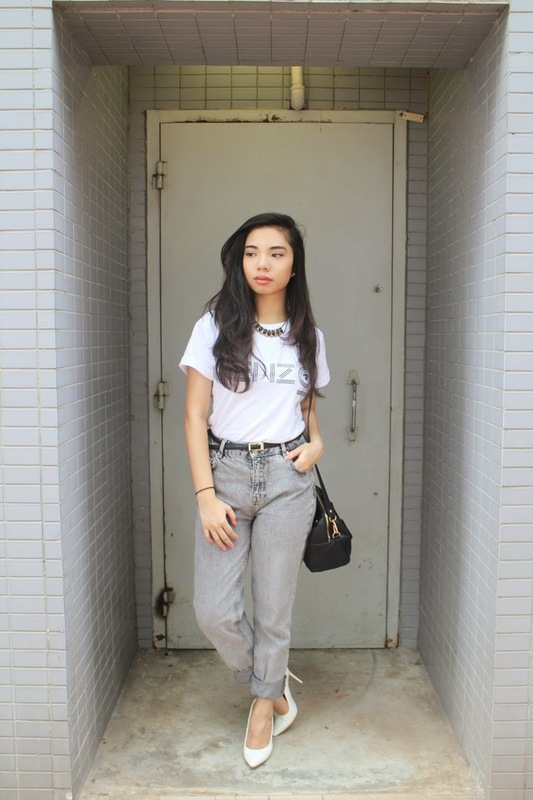 Such a cool outfit, love those jeans- they fit you perfectly! Just found out about your blog and I loved it, would you like to follow each other via GFC? Let me know on my blog when you do and I'll follow right back! 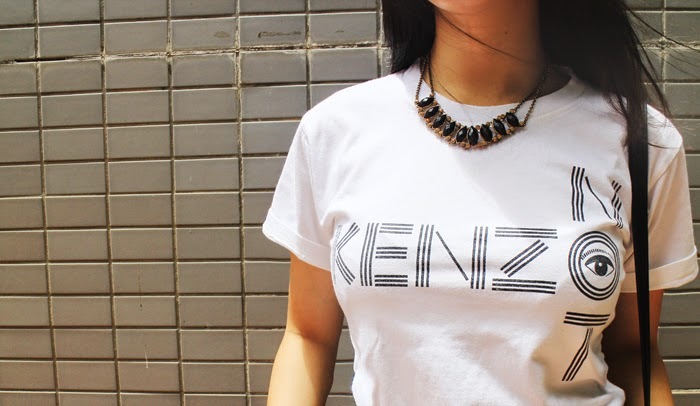 Super love the KENZO tee! 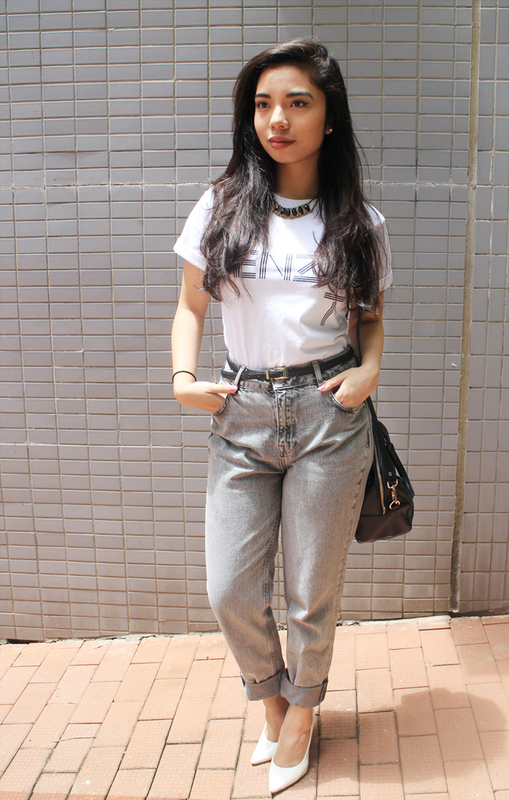 You perfectly look gorgeous on this style..
you totally rocked the boyfriend jeans! Aww…I commented on this rad outfit but it didn't show =( Oh well, I so freakinnnn loveee those shoes! 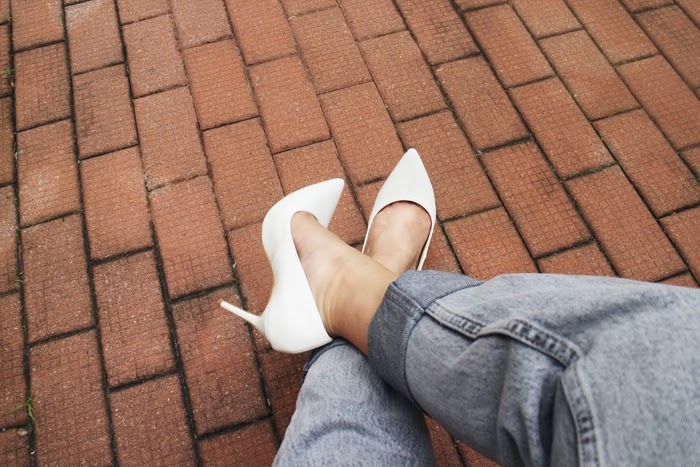 I am so obsessed about getting a pair of white pumps! =) Love the jeans too, could never pull that off! totally rocking those jeans!! Love the wash of that pair! Join our family of fun, fashion, beauty, food, travel and more by entering your e-mail address below.